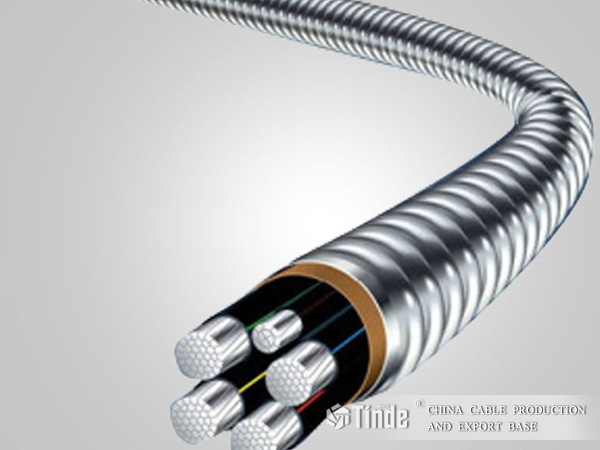 Interlocked Armored Alloy Cable for use in power networks, underground, outdoor and indoor applications and for use in cable ducting. Plain, annealed electrolytic copper or Aluminum conductors, solid, circular stranded, or sectorial stranded, conforming to the applicable requirements of IEC 60228. Insulated conductors are laid up, filled where necessary with non-hygroscopic material and covered with an extruded thickness of thermoplastic material.